Sandvik to close Wollongong operations, cut jobs (0) February 3, 2015 Sandvik has announced it will close its Wollongong operations and reduce its Kalgoorlie site in the wake of continuing mining uncertainty. 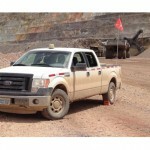 Ford launch new vehicles into mining (0) February 3, 2015 ​Barrick Gold US have made a bulk order of light vehicles from Ford, after having been chosen to test the prototype 2015 Ford F-150 trucks. 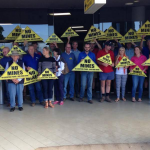 Anti-mining protesters greet NSW Premier at Tamworth Airport (0) February 3, 2015 NSW Premier Mike Baird was confronted by anti-mining protesters when he landed in Tamworth this morning. New government funding supports coal emissions reduction (0) February 3, 2015 ​The Australian government has pledged $25 million in funding for Carbon Capture Storage research at the Otway facility in Victoria. 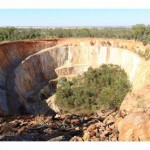 Bengalla to keep mining for 24 years after PAC approval (0) February 3, 2015 Rio Tinto’s Bengalla mine has been granted approval by the Planning Assessment Commission. 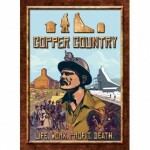 ​Mining board game developed (0) February 3, 2015 A board game where players take the role of a pioneer in the US’ first mining boom in the 1840s has been created. 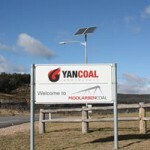 Moolarben expansion given the green light (0) February 3, 2015 The Planning Assessment Commission has approved the expansion of Yancoal’s Moolarben coal mine. 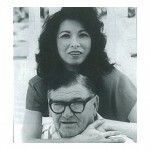 Iron ore family embroiled in will dispute (0) February 3, 2015 ​The daughter of late iron ore magnate Michael Wright has issued a wish list of bizarre and extravagant “needs” to increase her claim on his estate. 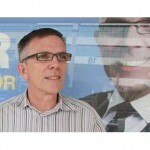 ​NT mining minster ousts head in leadership challenge (98) February 3, 2015 NT chief minister Adam Giles has been dumped as territory head following mining minster Willem Westra van Holthe’s challenge. 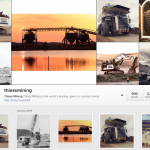 Best mining accounts to follow on Instagram (0) February 2, 2015 Because pictures of mining-related stuff is the coolest! 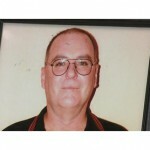 BHP appeals against $2.2 million asbestos cancer case (0) February 2, 2015 ​BHP Billiton has begun an appeal against the multi-million dollar payment awarded to a dying mesothelioma victim. Batsh*t crazy? 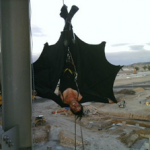 Activists plan six-day anti-coal rally (0) February 2, 2015 It was the protest last year that saw a woman dressed as batgirl scale a coal loader at Boggabri coal mine, and it’s back. SA Premier Awards give recognition to resource companies (0) February 2, 2015 ​Nominations are now open in South Australia for the Premier’s Community Excellence Awards in Mining and Energy. 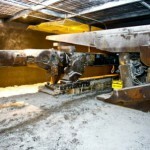 BC Iron leans on contractors for cost savings (0) February 2, 2015 BC Iron is looking to renegotiate the terms of several of its workforce contracts in order to save money amid the weak price of iron ore.
Nationwide coal strike to begin in Poland (0) February 2, 2015 ​Poland’s coal mining industry has ground to a halt, as miners plan to go on a nationwide strike on Monday February 2. 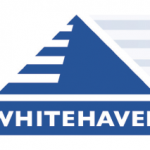 Whitehaven Coal posts multi-million loss (0) February 2, 2015 The falling price of coal has been blamed for Whitehaven Coal’s first-half loss of $79 million. 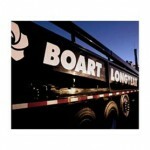 Boart Longyear sign sensor tech agreement with DET CRC (0) February 2, 2015 Boart Longyear has signed a commercialisation agreement with the DET CRC for its in-hole sensor technology. 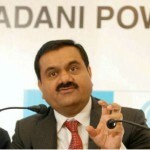 Adani undeterred by Qld government change (0) February 2, 2015 ​Indian miner Adani has reiterated its commitment to building the Carmichael coal mine, undeterred by the prospect of a new Labor government in Queensland. 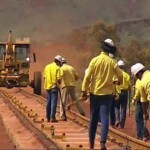 Investigations continuing into iron ore train accident (0) January 30, 2015 Investigations are continuing into an incident in which an iron ore train hit a grader working on a rail in the Pilbara. 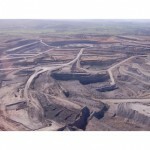 ​New Hunter Valley Mining show focusing on community (0) January 30, 2015 The inaugural Hunter Mining Show, the launch event for the Hunter Coal Festival, is looking to greater community and resources engagement in the region. 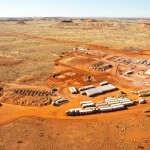 Northern Star Resources gives itself a hat-trick for December results (0) January 30, 2015 Northern Star Resources said it bagged a hat-trick in the December quarter that saw solid production, low costs and strong cashflow. 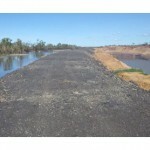 Flood works complete at Roper River iron ore mine (0) January 30, 2015 ​Northern Territory mines and energy inspectors have declared the Roper River iron ore mine does not posed an environmental risk during the wet season. 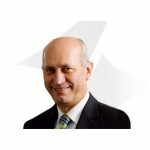 Newcrest posts solid production results, upgrades guidance (0) January 30, 2015 Newcrest has lifted its full-year production guidance after posting strong results in the December quarter. 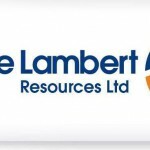 Resource Mining win ABM Old Pirate contract (0) January 30, 2015 ABM Resources has awarded Resource Mining the contract to mine its Old Pirate Gold project. 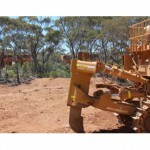 NSW mining rehab council canned (0) January 30, 2015 Plans for setting up a mines rehabilitation advisory council have been scrapped by NSW state government. 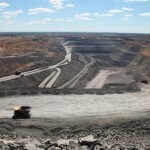 New coal mine on the way after PAC approves Watermark (0) January 30, 2015 Shenhua’s huge Watermark Coal project in north-west New South Wales has been given the green light by the Planning Assessment Commission. Crane designer fined for 2013 accident (0) January 30, 2015 ​In a legal first a West Australian crane designer has been fined $16,000 in relation to a 2013 crane accident at Karara. ​New ‘Mining Leaders’ program developed (0) January 30, 2015 A new Mining Leaders’ Program has developed to help “the address the global shortage of future leaders in the industry”. 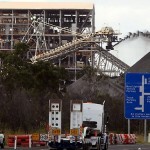 ​BHP cut jobs at Olympic Dam (16) January 29, 2015 In the wake of falling copper prices jobs will be cut at Olympic Dam as BHP looks to reduce costs. 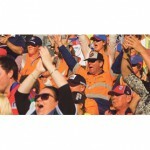 CFMEU claim BHP will reopen coal mine with FIFO workforce (0) January 29, 2015 The CFMEU claims BHP is planning to reopen its Norwich Park coal mine in Queensland with workers sourced from Adelaide and Melbourne. SACOME welcomes OZ Mineral’s move to Adelaide (0) January 29, 2015 The South Australian Chamber of Mines and Energy has welcomed news that OZ Minerals is moving its HQ from Melbourne to Adelaide. 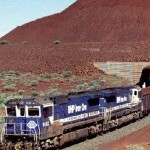 FMG cuts production costs, posts record shipping rate (0) January 29, 2015 Fortescue Metals Group slashed its iron ore production costs by 11 per cent in the December quarter while shipping 47 per cent more of the commodity. 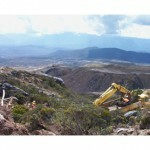 Alkane Resources upgrades full-year gold production (0) January 29, 2015 Alkane Resources has upgraded its full-year gold production guidance after posting a solid December quarter result. 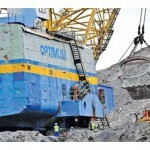 Glencore may close South African coal ops (0) January 29, 2015 Glencore subsidiary Optimum is considering a closure of some of its operations in South Africa, with a review likely for Australian coal operations. 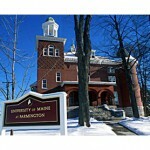 University of Maine divests from coal (0) January 29, 2015 ​Another domino has toppled in the global divestment movement, with the University of Maine divesting from direct holdings in coal-mining companies. 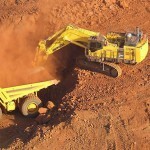 No relief for iron ore miners as price falls again (0) January 29, 2015 Iron ore has continued its losing streak, down to a new five-year low overnight. 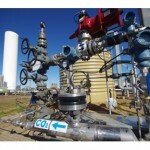 Victorian CSG moratorium extended to 2016 (0) January 29, 2015 ​The Victorian Parliament has announced an extension to the moratorium on coal seam gas exploration, pending a new inquiry into the impact of the industry. 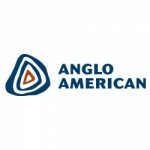 Anglo posts solid production results, but warns of writedowns (0) January 29, 2015 Anglo American has warned the market to expect writedowns when it releases its full-year financial results next month. 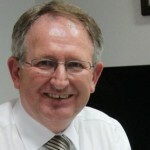 Southern Cross Electrical MD retires (0) January 29, 2015 South Cross Electrical Engineering’s managing director Simon High has announced he will retire. 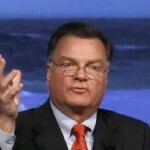 Boyce steps down as chief of Peabody Energy (0) January 29, 2015 Gregory Boyce is set to step down as the CEO of Peabody Energy in May, with company COO Glenn Kellow to take his place. 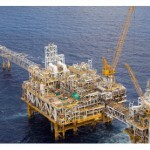 NSW gas demand to fall and cause price shock (0) January 28, 2015 ​Domestic gas prices are predicted to rise sharply as a result of the increased export of LNG from Australian projects. 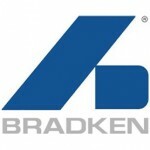 Bradken buyout falls through (0) January 28, 2015 A proposed acquisition of Bradken has collapsed as mining markets remain volatile. 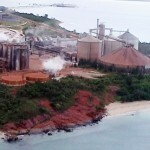 Mount Gibson faces $950 million writedown (0) January 28, 2015 Iron ore miner Mount Gibson has announced a $950 million writedown due to the low price of iron ore and the closure of its Koolan Island mine. 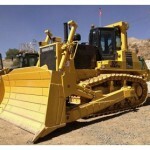 ​Caterpillar sees continued commodity pain (0) January 28, 2015 Caterpillar has seen lowered results following continued depression in commodity and mining markets. 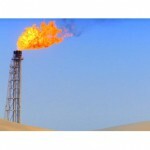 Gas export revenue will not meet expectations (0) January 28, 2015 ​Export earnings from LNG are set to tumble from earlier expectations, due to the dive in global oil prices. 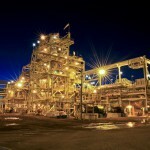 Ravensthorpe mine to reopen after chemical spill (891) January 28, 2015 Ravensthorpe nickel mine in Western Australia is set to reopen after a chemical spill closed the site in December. 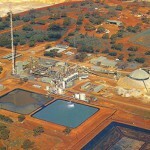 ​Sandfire to extend DeGrussa mine life (0) January 28, 2015 Sandfire has released its latest results, highlighting its plans to extend its DeGrussa’s mine life into 2021 and increases its resources. 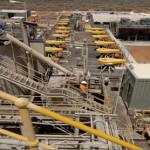 OZ Minerals relocating to Adelaide (0) January 28, 2015 A shake-up at Oz Minerals will see the company’s HQ move from Melbourne to Adelaide in the first step of a strategic review. 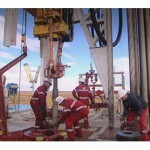 Buru Energy valve undergoes further inspection. 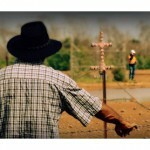 (0) January 28, 2015 ​A leaking valve at a gas well in the Kimberley has been removed for further inspection, after allegations of sabotage. 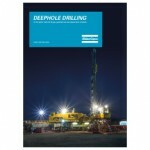 New deephole drilling reference book released (0) January 28, 2015 Atlas Copco has released a new book focused on aiding deephole drillers across a number of markets. Iron ore price sinks again (0) January 28, 2015 The price of iron ore hit a new five-year low overnight. 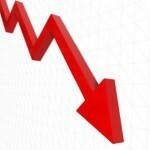 Iron ore miners punished amid price glut (0) January 27, 2015 Iron ore stocks have been hammered today as the price of the commodity dropped to five-year lows. 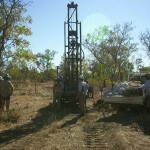 Nova Nickel breaks new ground on Australia Day (0) January 27, 2015 Sirius Resources have commenced project development for the Nova nickel mine as of Australia Day. 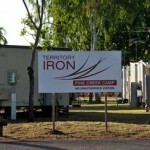 Iron ore mine to close (0) January 27, 2015 Territory Iron has halted production at Frances Creek iron ore mine. 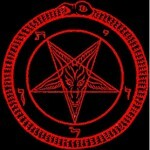 US coal miner rejects “Mark of the Beast” (0) January 27, 2015 ​Religious beliefs have won a West Virginia miner $150,000 in damages after his employer tried to make him use technology he associated with the Devil. 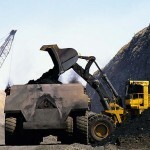 Anglo could sell more Aussie coal mines (904) January 27, 2015 Anglo American is mulling the sale of two more of its coal mines in Queensland. 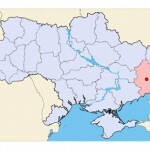 Ukrainian coal miners trapped after heavy shelling (0) January 27, 2015 ​Nearly 500 coal miners have been trapped underground in eastern Ukraine after shelling damaged the nearby power station. 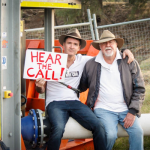 Golden Guitar winner locked to water pump at Maules Creek mine:UPDATE (0) January 27, 2015 Activists at Maules Creek mine are at it again, with Golden Guitar winner Luke O’Shea locked to a water pump at the site. 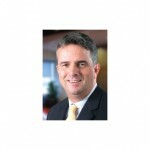 MacMahon Holdings to trim the fat (0) January 27, 2015 MacMahon Holdings will shift into a cost-cutting phase, following the departure of managing director Ross Carroll. 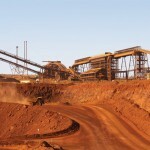 Iron ore hits five-year low (0) January 27, 2015 The price of iron ore has fallen to below $US65 a tonne for the first time since 2009, and analysts warn it will drop even lower. 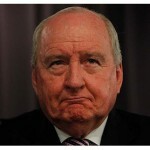 Newman sues Jones for defamation over New Hope Coal allegations (0) January 23, 2015 ​One week out from the Queensland state election premier Campbell Newman has filed a defamation suit against broadcaster and shock jock Alan Jones. 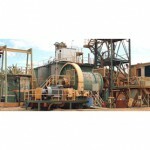 $2 million JV to target heavy mineral sand in NSW (0) January 23, 2015 Broken Hill Prospecting has announced a $2 million exploration joint venture that will target heavy mineral sand deposits in western NSW. 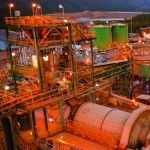 Santos increases profits on quarter and the year (0) January 23, 2015 Santos have increased their December quarterly production by 15 per cent on 2013 results, and increased yearly production by six per cent. Miners feel the pain as iron ore extends its fall (1) January 23, 2015 Iron ore miners were punished yesterday as the price of iron ore edged closer to a fresh five-year low. 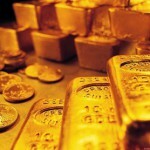 Colombian gold CEO arrested (0) January 23, 2015 ​The fugitive CEO of Colombian gold company CI Goldex was captured this week and will be charged for his involvement in money-laundering schemes. 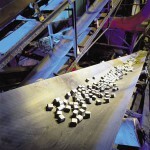 More iron ore job losses as Arrium mothballs mine (0) January 23, 2015 A major shakeup at Arrium will see its Southern Iron mining operation mothballed. 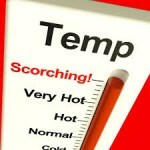 Pilbara set to bake through heatwave (0) January 23, 2015 A heatwave in the Pilbara is set to send temperatures soaring past 49C. Production phase means more maintenance mining jobs (0) January 23, 2015 ​After the release of the Hays Quarterly report, national head of mining Chris Kent provides a labour hire perspective on the state of the industry. 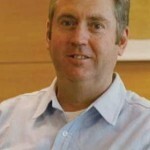 Macmahon CEO resigns (0) January 23, 2015 Macmahon CEO Ross Carroll has resigned from the company effective immediately. 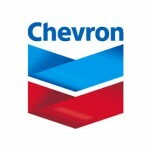 New supply agreement for Chevorn’s Gorgon LNG (0) January 22, 2015 ​Chevron will supply Korean SK Group with 4.15 million tonnes of LNG over five years as per a new agreement. Cockatoo Coal cuts 40 jobs (15) January 22, 2015 Cockatoo Coal has cut 40 jobs from its Baralaba coal mine in Queensland’s Bowen Basin. Iron ore price continues to fall (0) January 22, 2015 The price of iron ore is on the move again, flirting with the five-year low it fell to in December. 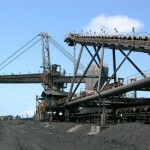 New Hope Coal embroiled in corruption allegations against Qld Government (0) January 22, 2015 ​Fresh allegations of back door dealing have been levelled against the Newman Government, with their science minister linked to the New Acland mine. 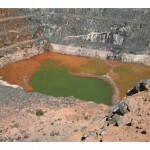 Mine site tour on offer in the Hunter Valley (0) January 22, 2015 Hunter Valley locals will get a chance to see the success of a rehabilitated mine, with Rix’s Creek offering tours of its operations. 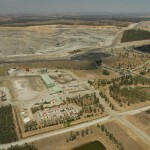 Glencore applies to extend the life of Mt Owen mine (0) January 22, 2015 Glencore has submitted plans to extend the life of its Mount Owen mine in the Hunter Valley. 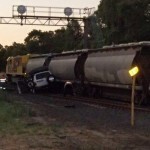 Man injured after alumina train incident (0) January 21, 2015 A man has been injured after his vehicle was hit by an alumina train in Western Australia. 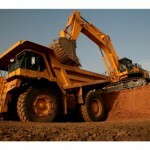 Mastermyne wins $20 million contract with Anglo American (0) January 21, 2015 Mastermyne has been awarded a $20 million contract with Anglo American. 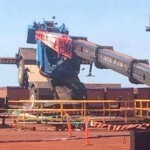 Another crane safety incident at Roy Hill mine (0) January 21, 2015 Another incident involving cranes has put the safety spotlight back on Gina Rinehart’s Roy Hill mine. DriveACADEMY training program raises level of expertise among users (0) January 21, 2015 SEW-EURODRIVE has launched the 2015 calendar for its nation-wide motor and drive training program, DriveACADEMY. 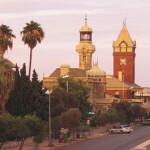 Broken Hill’s mining history recognised with heritage listing (0) January 21, 2015 Broken Hill’s rich mining history helped to name it as the first city on the National Heritage List. 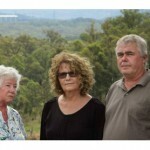 Mangoola coal subject to further noise monitoring (0) January 21, 2015 ​Residents near the Mangoola Mine are relieved their complaints about noise from the Mangoola coal mine have finally been heard. 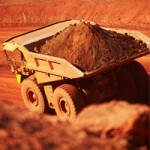 BHP Billiton posts record iron ore, coal production results (0) January 21, 2015 BHP Billiton produced 16 per cent more iron ore in the December 2014 half year to post a new record. 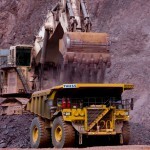 Hughes Drilling wins Mt Arthur coal contract (0) January 21, 2015 Hughes Drilling has won a contract for overburden drilling services at BHP’s Mt Arthur coal mine. 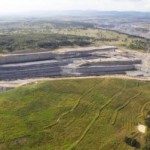 NSW Government continues to push for Wallarah 2 (0) January 21, 2015 ​Despite court rulings against the project, the NSW Government continues to push for development of the Wallarah 2 coal project. 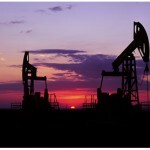 ​Will oil slide to $25 a barrel? (0) January 21, 2015 As the oil price retreats aggressively from historic highs, some are predicting a further fall for the commodity. 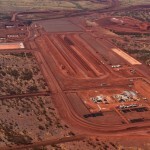 CITIC’s Sino Iron mine to post $1.8 bn writedown (0) January 21, 2015 Citic has been forced to writedown the value of its Sino Iron project in the Pilbara by $1.8 billion due the falling price of iron ore.
Fitter killed during bulldozer maintenance (6) January 21, 2015 ​The Australian mining industry has suffered its first fatality of the year, after only 20 days. 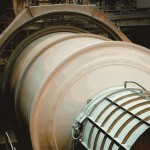 Atlas Iron cut spending amid iron ore price pain (0) January 20, 2015 Atlas Iron will cut back on capital spending as the company revealed it was selling iron ore at a loss. 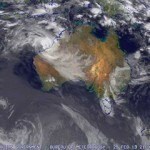 WA cyclone threat over (0) January 20, 2015 A cyclone warning that forced the evacuation of Port Hedland and Dampier ports has been downgraded. 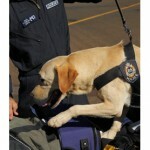 Drugs dismissal at Boggabri upheld by FWA (0) January 20, 2015 ​The dismissal of a haul-truck driver at the Boggabri coal mine after testing positive for methamphetamine was upheld in a decision by Fair Work Australia. 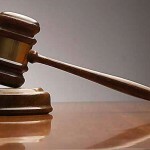 Rio Tinto and Forge in court battle (0) January 20, 2015 Rio Tinto and collapsed engineering firm Forge Group are set to battle it out in court over monies owed. 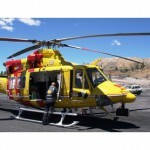 Mining donates to keep Westpac Rescue choppers flying (0) January 20, 2015 The NSW Minerals Council has contributed $270,000 to Westpac Rescue Helicopter Service. Hughes Drilling win Collinsville coal contract (0) January 20, 2015 Hughes Drilling has been awarded the overburden drilling contract for Glencore’s Collinsville coal mine. 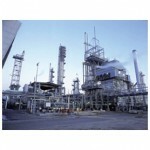 150 redundancies for Bechtel at QCLNG (0) January 20, 2015 150 construction staff to be demobilised from the QCLNG gas plant, while electrical instrumentation specialists in demand. 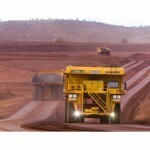 Rio Tinto ramp up sets new iron ore production record (0) January 20, 2015 Rio Tinto produced 11 per cent more iron ore in 2014 as the company drives the expansion of its Pilbara operations. 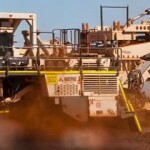 BHP and Boart Longyear split in the Pilbara (0) January 20, 2015 BHP has reportedly brought to an end its existing contracts in the Pilbara as the miner seeks to cut costs. QCLNG workers mourn deaths twice in one week (0) January 20, 2015 ​Bechtel employees at the QCLNG gas plant have mourned fallen comrades twice in the last week, with crews stood down in respect of the tragedies. 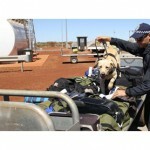 Oil and gas next on drug search hit list (24) January 19, 2015 Drug screening is set to continue around West Australia as Operation Redwater gears up for a third phase of operation targeting oil and gas workers. 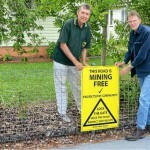 Queensland candidates talk to concerned locals about mining (0) January 19, 2015 A number of candidates in the upcoming Queensland election have vowed to help fight mining developments. 200 jobs lost in third closure of Wiluna lead mine (0) January 19, 2015 ​The Paroo Station lead mine will dismiss more than 200 employees next month when the mine closes for the third time in less than a decade. 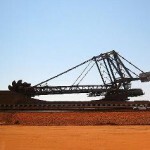 Macquarie Bank downgrades iron ore price (0) January 19, 2015 Macquarie Group has joined the list of major banks that are cutting their iron ore price forecasts. 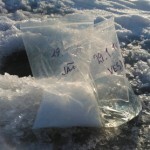 ​New minerals processing technique developed (0) January 19, 2015 A new minerals processing technique using freezing to treat and recycle wastewater has been developed. 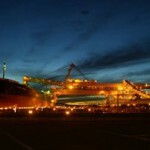 Adani’s Carmichael mine defended by Trade Minister Andrew Robb (0) January 19, 2015 Trade Minister Andrew Robb has defended Adani’s plans to develop the massive Carmichael mine, saying despite the naysayers, the project will go ahead. Nicolsons mine given the greenlight (0) January 19, 2015 Pacific Nuigini has received approvals for its Nicolsons project’s mining proposal and mine closure plan. 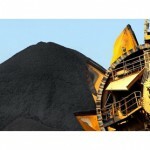 China still hungry for NSW coal: report (0) January 19, 2015 China’s demand for NSW coal jumped 22 per cent over the last financial year. Miner injured at Dendrobium mine (0) January 16, 2015 A 30-year-old man has been taken to hospital after being injured at Illawarra Coal’s Dendrobium mine. 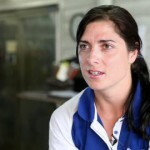 Anglo American release a video about women in mining (0) January 16, 2015 Anglo American has released a video aimed at showing the opportunities open to women at its mining operations. Former Anglo boss to face court accused of stealing over $9 million (0) January 16, 2015 A former Anglo American executive will face court on January 29 accused of stealing millions from the company. 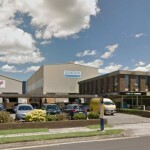 Local business get behind Mt Thorley-Warkworth continuation (0) January 16, 2015 ​The Mt Thorley-Warkworth project has drawn wide support from local businesses, fearful loss of 1300 jobs will have a devastating impact on local economy. Slight rise in iron ore price, but more pain predicted (0) January 16, 2015 The six day iron ore slump has come to an end, with the price rising slightly during the last trading session. 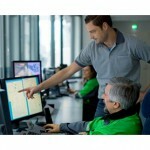 Metso continues strategy by selling Process Automation Systems business to Valmet (0) January 16, 2015 The divestment is in line with Metso’s new strategy under which Metso will focus on products and services for mining, aggregates, and oil & gas industries. Coal worker flown to hospital after truck rollover (0) January 15, 2015 A coal mine worker has been flown to hospital with suspected facial fractures after the truck he was driving rolled over at Jellinbah Mine. 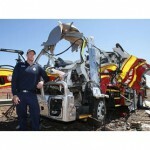 Bravery awards for firies at QLD truck explosion (0) January 15, 2015 ​Firefighters who were injured during a rescue at a truck rollover and ammonium nitrate explosion last year will receive bravery awards for their selfless efforts. 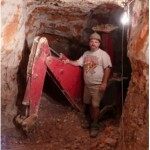 Safety notices issued at Gina Rinehart’s Roy Hill mine (0) January 15, 2015 Western Australia’s Department of Mines and Petroleum has issued prohibition notices at Gina Rinehart’s Roy Hill mine. Earthquake hits Tasmanian mine (0) January 15, 2015 ​An earthquake struck near the Savage River open cut mine at 10:37am yesterday. 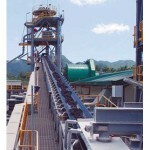 PanAust cuts jobs in bid for increased efficiency (0) January 15, 2015 ​Around 182 jobs will soon be cut from the operations of copper/gold/silver miner PanAust, with more redundancies to come later in the year. 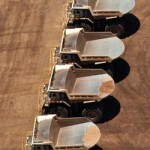 Iron ore tipped to hit $US58 a tonne (0) January 15, 2015 Citi has cut its 2015 iron ore price forecast from $US65 a tonne to just $US58 a tonne. 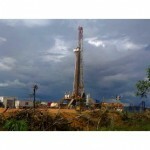 Sabotage confirmed at fracking gas well (0) January 15, 2015 ​A Department of Mines and Petroleum investigation has found a leaking valve at a Buru Energy gas well was deliberately damaged. 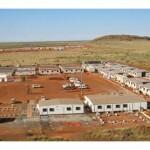 Kerman wins Nova nickel accommodation contract (0) January 15, 2015 Kerman has won the contract for Sirius Resources Nova nickel project’s accommodation camp. 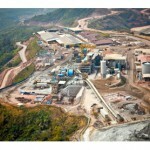 Kingsgate gold mine shut down amid health fears (0) January 15, 2015 Kingsgate Consolidated has been forced to close its Chatree gold mine in Thailand after orders from the country’s environmental watchdog. 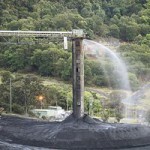 Maules Creek produces close to 100k tonnes of coal (0) January 14, 2015 Whitehaven Coal’s Maules Creek mine has produced 94,000 tonnes of coal so far, with the company hoping to ramp this up to 6 million tonnes by March. 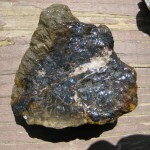 X2 resources could go after Vale’s nickel assets (0) January 14, 2015 X2 Resources could make a play for Vale’s nickel business. 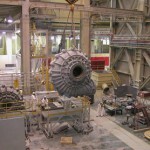 Rio in talks to sell uranium to India (0) January 14, 2015 As part of Rio Tinto’s plan to do more business with India, the company is in talks to sell the country its uranium. 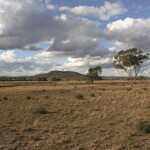 NSW opal miners need new land leasing solution (0) January 14, 2015 Disputes between opal miners and graziers in Western NSW may find a solution in the suggestions of Walgett Shire mayor David Lane. ​New nickel accumulating plants uncovered (0) January 14, 2015 Researchers have uncovered dozens of new nickel hyperaccumulator plants in a study in Borneo. Iron ore price keeps falling (0) January 14, 2015 The price of iron ore has retreated for the fifth day in a row. 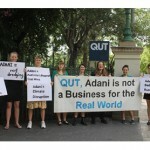 Students call on QUT to sever ties with Adani (0) January 14, 2015 ​Students of the Queensland University of Technology (QUT) have lobbied management to sever their relationship with Indian coal miner Adani. 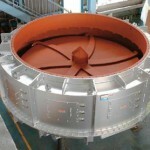 Sandvik unveils new mid-range cone crushers (0) January 14, 2015 Sandvik has expanded its mining cone crushers, releasing two new mid-range models. 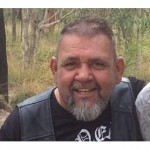 Miner dying from asbestos poisoning denied compo (10) January 14, 2015 A man with just six months to live has had his asbestos poisoning case dismissed in court due to a legal loophole. QLD sees record 2014 coal exports (8) January 13, 2015 QLD has recorded a spike in coal exports in the face of a wider global coal downturn. 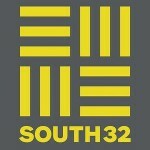 South32 to make Perth its home (0) January 13, 2015 BHP Billiton’s proposed spin-off company South32 has signed a ten-year lease in a Perth office building. 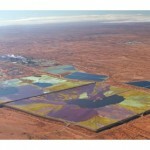 Polaris Metals iron ore development rejected by EPA (0) January 13, 2015 A proposal for a new iron ore mine in Western Australia has been rejected by the EPA on grounds of irreversible impact on flora and fauna. Gold price on a high (0) January 13, 2015 The price of gold has jumped to its highest price in three months as investors continue safe-haven buying. 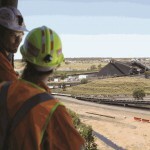 Mining jobs subdued, but key roles needed in each state (0) January 13, 2015 ​Subdued employment levels in resource sectors were predicted by Hays, with key employment trends identified in their recently released Quarterly Report. 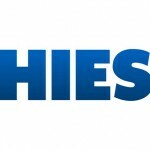 Leighton could put Thiess up for sale (0) January 13, 2015 Speculation is mounting that Leighton Holdings has plans to sell Thiess. Woodside and Adani JV to bring LNG to India (0) January 13, 2015 ​A visit to India over the weekend has seen Woodside CEO Peter Coleman sign a memorandum of understanding with magnate Gautam Adani. 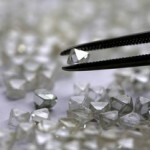 Rio Tinto to develop $3bn worth of mines in India (0) January 13, 2015 Rio Tinto hopes to open a $US2 billion iron ore mine and a $US500 million diamond mine in India. 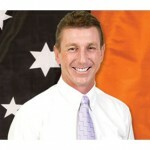 Toro Energy CEO chosen to represent Australia in India (0) January 12, 2015 Prime Minister Tony Abbott has appointed the head of uranium developer Toro Energy to the Australia-India CEO forum. Rose Porteous resurfaces for ‘House of Hancock’ TV series (0) January 12, 2015 The former wife of Lang Hancock has spoken out about her portrayal in the new telemovie which will depict the legal battle between her and Gina Rinehart. 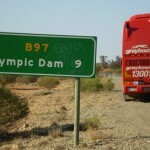 Olympic Dam sidesteps new tailings facility requirement (0) January 12, 2015 ​BHP Billiton has sought to increase the size of an Olympic Dam tailings storage facility, from 30m to 40m tall. Iron ore shows more signs of weakness (0) January 12, 2015 The price of iron ore has once again fallen below $US70 a tonne. 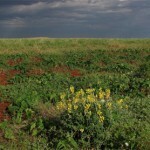 ​BHP to hold Seed Bank ‘think tank’ (0) January 12, 2015 BHP has partnered with the Botanic Gardens and Parks Authority to hold a ‘think thank’ as part of a multi-million dollar Restoration Seed Bank Initiative. 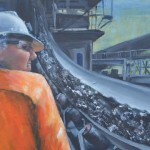 Mining industry in the spotlight at art exhibition (0) January 12, 2015 An artist has spent time at both underground and open cut coal mines to inspire a new collection of paintings depicting the industry. 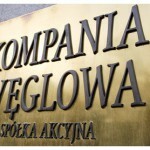 Poland struggles to restructure largest coal miner in Europe (0) January 12, 2015 ​Polish coal mining giant Kompania Weglowa will be restructured in an attempt to cut costs and rescue the company from a second year of losses. 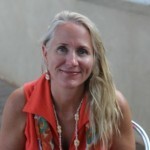 One on One: Austmine CEO Christine Gibbs Stewart (0) January 12, 2015 A sit-down with Austmine CEO Christine Gibbs Stewart looking over the state of the METS sector in 2014, and the forecast for 2015. 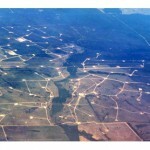 CSG revenue set to soar by 148 per cent (0) January 12, 2015 2015 is expected to be a massive year for the coal seam gas industry, but mining and construction machinery manufacturing is set to suffer. 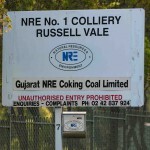 Russell Vale coal mine to get PAC review (0) January 12, 2015 Planning Minister Pru Goward has ordered the review of Wollongong Coal’s proposed expansion of Russell Vale coal mine. 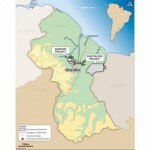 Troy receives environmental approvals (0) January 12, 2015 Troy Resources has received environmental approvals for its Guyanese Karouni gold project. Transmin signs deal to become Australia’s Yoshikawa circle feeder distributor (0) January 12, 2015 Transmin has signed a new agreement with Yoshikawa Corporation to distribute their full range of circle feeders Australia-wide. 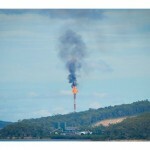 EPA gain greater powers to monitor gas activities in NSW (0) January 9, 2015 ​Recent changes to legislation will enable the NSW EPA to oversee gas industry activities through development phases, from exploration to production. 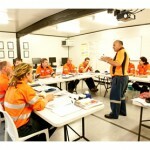 Job-sharing implemented at FMG mine site (0) January 9, 2015 A reshuffle at FMG’s Cloudbreak mine will see workers move to part-time job sharing for the next six months. 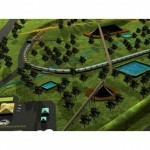 T4 coal loader at Newcastle gains PAC approval (0) January 9, 2015 The Planning Assessment Commission has recommended the T4 coal loader on Kooragang Island be approved. 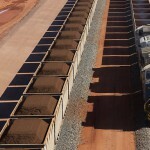 Maules Creek mine sends first coal to port (0) January 9, 2015 Maules Creek mine has delivered its first load of coal to the port of Newcastle as the project works to ramp up to full production. 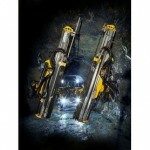 Atlas launches Boomer M-Series drilling rig (0) January 9, 2015 Atlas Copco has now launched its new face drilling rigs worldwide. 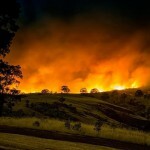 BHP donates $250,000 for South Australian bushfire victims (0) January 9, 2015 BHP Billiton has donated $250,000 to the Sampson Flat Bushfire relief fund in South Australia. 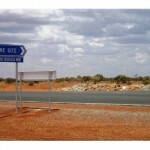 FMG announces 300 million tonne resource upgrade (0) January 8, 2015 Fortescue Metals group has increased its mineral resource base by 300 million tonnes. 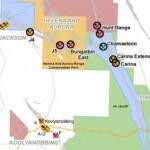 Uranium exploration given the go-ahead on Forrest’s land (0) January 8, 2015 Cauldron Energy has won the right to explore for uranium on Andrew Forrest’s Minderoo pastoral station in the Pilbara. Siana gold mine returns to production (0) January 8, 2015 ​A cease and desist order has been lifted from Siana Gold processing operations by the Philippine’s Mines and Geoscience Bureau. 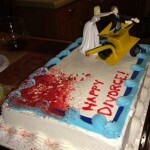 ​Are miners more likely to be divorced? (0) January 8, 2015 A new study on the professions most likely to be married or divorced highlighted miners are amongst the professions most likely to be married. 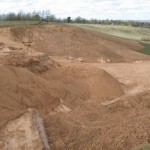 Sand quarry proposal near Dubbo (0) January 8, 2015 A proposed sand quarry near Dubbo has been criticised by local residents. 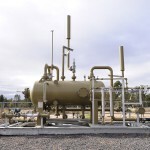 Gas well leak sparks DMP investigation (0) January 8, 2015 ​A gas leak at a fracking well in WA has sparked government concerns about the possible involvement of a “third party”. 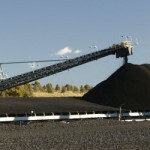 ​More job cuts likely at NZ coal mine (0) January 8, 2015 A continued coal price depression is likely to lead to more job cuts at Solid Energy’s Stockton coal mine. 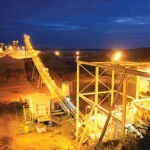 Ramelius tops gold production estimates (0) January 8, 2015 After a busy 2014 which saw it acquire a host of new gold mines, Ramelius Resources has beaten its production guidance for the December quarter by 13 per cent. 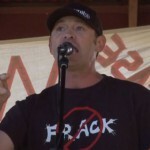 ‘Frackman’ CSG documentary set to raise eyebrows (0) January 8, 2015 A new documentary about the coal seam gas industry in Queensland will not get airplay on television, according to the film’s producer. 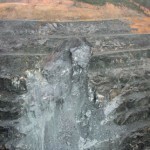 Uranium miner announces spill (0) January 8, 2015 Just days after uranium miner Paladin Energy denied it discharged polluted water into a river, the company announced a tank failure at its Kayelekera mine has resulted in a spill. The Australian mining services landscape [infographic] (0) January 8, 2015 Ernst & Young have released a new infographic detailing the current challenges facing Australian mining services companies. 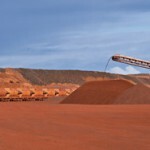 Depressed iron ore price claims more jobs (0) January 7, 2015 The volatile price of iron ore has claimed more jobs with Cape Lambert Resources cutting 117 people. 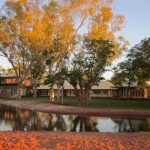 WA returns $1 billion in rehab bonds (0) January 7, 2015 ​The DMP has returned more than $1 billion in bonds to mining companies since the introduction of the Mining Rehabilitation Fund in 2012. 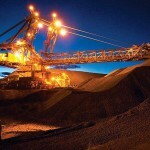 ​Miners call on QLD to not raise royalties ahead of election (0) January 7, 2015 The Queensland Resources Council has called on Queensland’s political parties to avoid raising royalties as the state heads to an election. 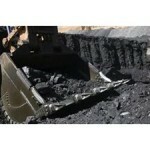 Mandalong coal expansion expected in 2015 (0) January 7, 2015 ​The Mandalong Coal Mine expansion will provide permissions for an additional 115 jobs at the Central Coast mine later this year. 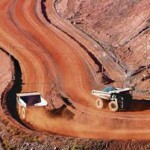 Mining needs to leap forward by twenty years, Anglo says (0) January 7, 2015 Anglo American boss for technical and sustainability said the mining industry needs to leap forward 20 years while announcing an autonomous truck trial in the U.S.
​Orica to build new flaring plants on Kooragang (0) January 7, 2015 Orica has be given the greenlight for the construction of three new ammonia flaring systems at its Kooragang Island plant. 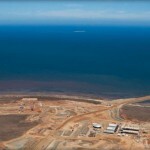 Nickel mine closed after chemical spill (0) January 7, 2015 Ravensthorpe nickel mine in Western Australia remains closed after a chemical spill last month. Fracking guidelines updated in WA (0) January 7, 2015 ​The WA Environmental Protection Agency has updated the requirements for proposals from companies wishing to use hydraulic fracturing. BHP sends one billion tonnes of iron ore to China (0) January 7, 2015 BHP Billiton has sent one billion tonnes of iron ore to China over 42 years. 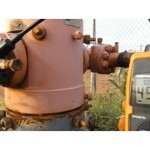 ​Atlas Copco releases new drilling remote operator stations (0) January 7, 2015 Altas Copco has release new remote operator stations for surface drill rigs. 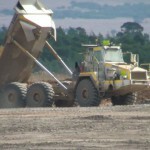 Construction of Tasmania’s newest mine begins (0) January 7, 2015 Work has started on a new bauxite mine in Tasmania that is expected to create 180 jobs. 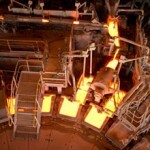 Glencore looking to extend copper smelting in Mt Isa (0) January 6, 2015 Glencore could extend its copper operations in Mt Isa, with Minister for Environment and Heritage Protection Andrew Powell saying he expects a development proposal from the company shortly. Patrick buys Dampier Floating Deck (0) January 6, 2015 Oil industry service provider Patrick has reached a new agreement to acquire Apache Energy’s Dampier Floating Deck (DFD) platform. 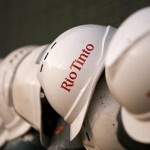 Rio Tinto tipped to announce share buyback (0) January 6, 2015 Speculation is mounting that mining heavyweight Rio Tinto is planning on announcing a $5 billion share buyback. 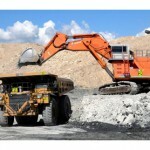 ​New Acland coal mine brings new jobs to Toowoomba region (0) January 6, 2015 Approval for expansion of the New Acland coal mine, will provide opportunities for up to several hundred new jobs across construction and operation. ​Oil drops to lowest point in five year years (0) January 6, 2015 Oil prices have fallen to its lowest mark in more than half a decade, dipping below US$50 per barrel. 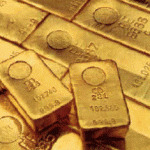 Gold price on the rise (0) January 6, 2015 The price of gold is back above $1200 per ounce amid concerns over the Greek elections and lower oil prices. First shipment of gas leaves Curtis Island (855) January 6, 2015 ​Australia’s first shipment of gas from the QCLNG gas plant left Curtis Island on Monday afternoon, bound for Singapore. 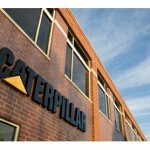 ​Caterpillar shares slide as oil falls (0) January 6, 2015 Caterpillar shares have fallen as it joins a number of companies suffering from a contracting oil price. 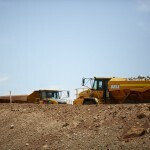 FIFO camp renewals to meet opposition in WA (0) January 6, 2015 ​Pilbara MP Brendan Grylls has declared plans to oppose the renewal of FIFO leases around Karratha and Newman. ​Glencore restarts coal mining (0) January 6, 2015 Glencore has officially restarted its coal mining operations, after closing all of its Australian operations over the Christmas break. Paladin denies uranium pollution claims (0) January 6, 2015 Paladin Energy has denied claims it released toxic water from its Kayelekera uranium mine into a local river system in Malawi. 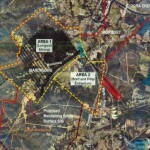 Dartbrook coal mine attracting buyer interest (0) January 5, 2015 Anglo American says there are several parties interested in purchasing Dartbrook coal mine. 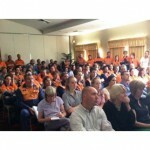 BHP workers sacked for using mobiles will be reinstated (0) January 5, 2015 Two men sacked by BHP for using their mobile phones at work will be reinstated following a ruling by the Fair Work Commission. 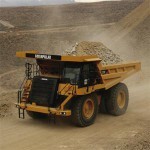 New fuel savings for Anglo American coal haulage (0) January 5, 2015 ​A new technology contract will ensure future fuel cost savings for Anglo American’s coal operations in Australia. 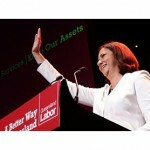 Rinehart speaks on iron ore royalties rebate debate (0) January 5, 2015 ​A West Australian Government scheme to reduce royalties for junior iron ore miners has been met with criticism from Gina Rinehart. 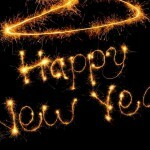 A happy new year for iron ore prices but will it last? (0) January 5, 2015 Iron ore has started the year on a positive note but there are differing opinions as to whether the worst is over for the steel-making ingredient. NZ miner wins bravery medal (0) January 5, 2015 Pike River mine tragedy survivor Daniel Rockhouse has won a bravery medal for his actions in rescuing another miner during the disaster. Komatsu reach Australian milestone (0) January 5, 2015 Komatsu is celebrating 50 years of operation in Australia. 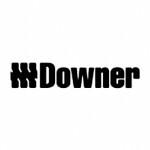 Adani awards Downer EDI $2 billion coal contract (7) January 5, 2015 Downer EDI has won a $2 billion contract for works at Adani’s Carmichael coal mine in Queensland’s Galilee Basin.